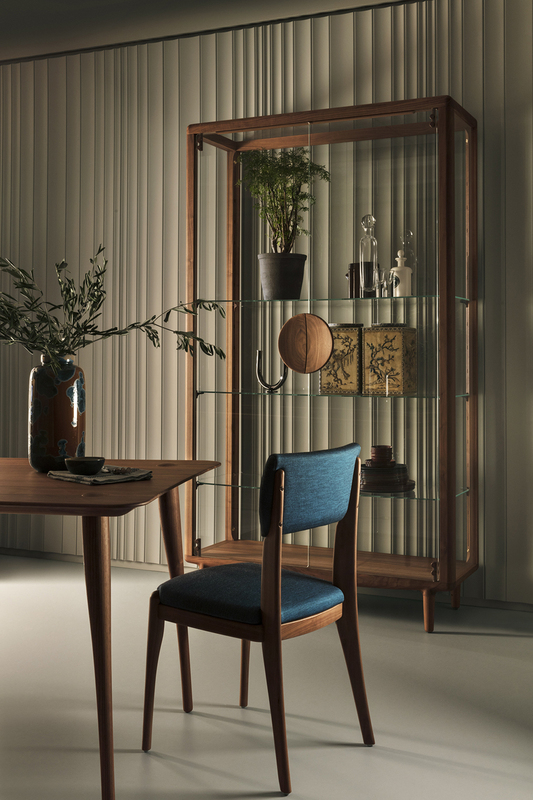 A display case crafted from solid wood and tempered diamond safety glass shelves and panels. 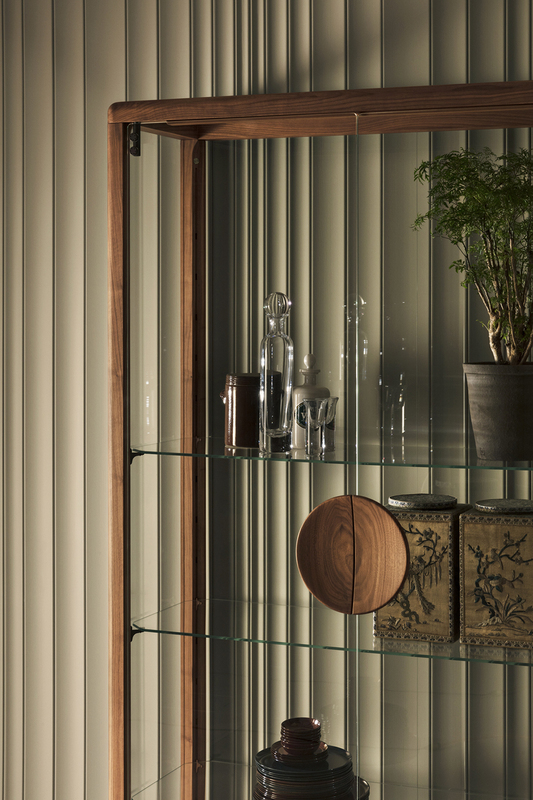 The interior features powder coated steel rails and brackets. 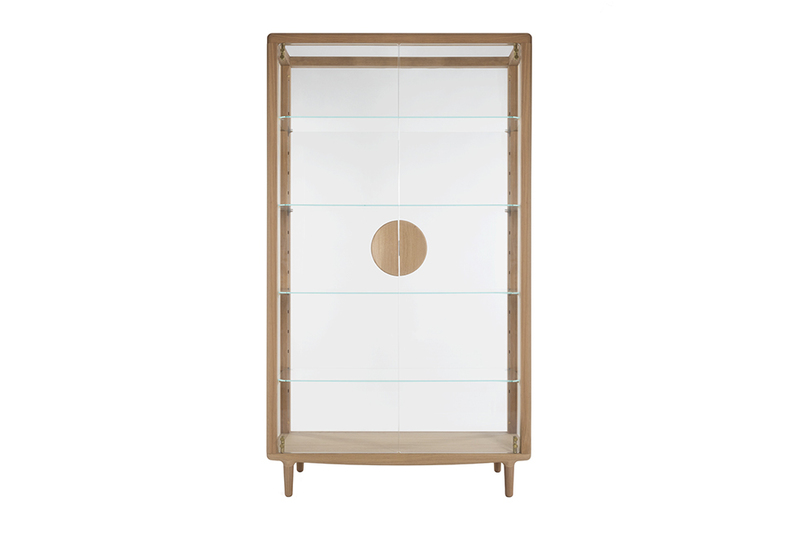 The Falmer Vitrine is finished with a matt lacquer and available in oak or walnut and is available at the Revised webshop and in selected stores. Please contact Revised for more information.